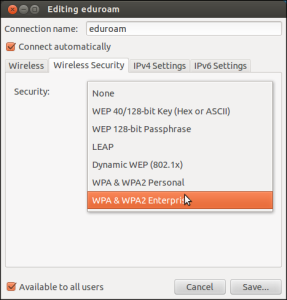 This guide is for the wireless network eduroam on Campus. It is recommended to use the automatic setup for Eduroam in order to get the most stabile Connection. 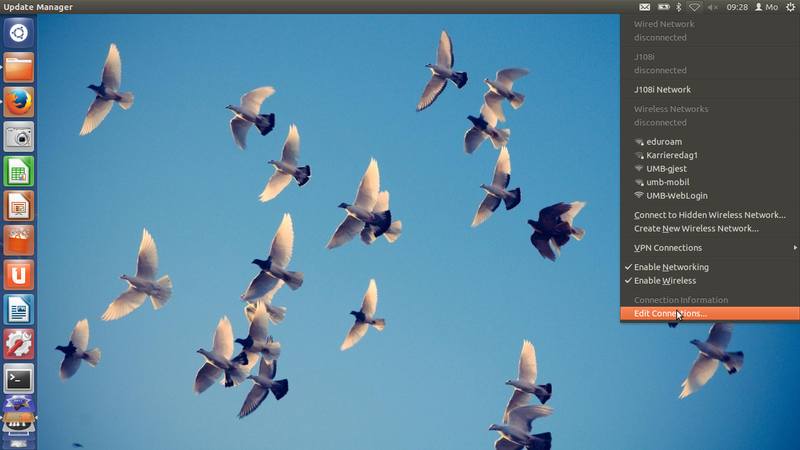 Automatic set up for Linux. 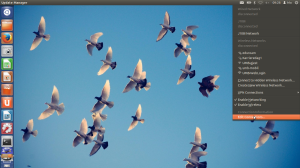 Manual settings for Linux (UBUNTU). 1. 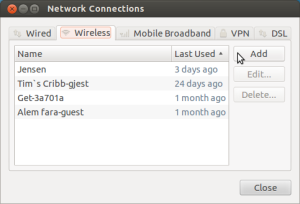 Click on the wifi icon on the taskbar and Edit connections. 2. Choose the tab Wireless and click Add. 3. 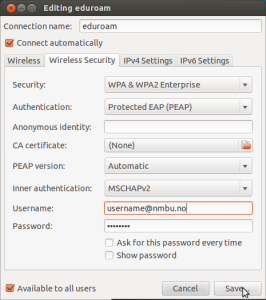 Enter eduroam for both Connection name and SSID. 4. 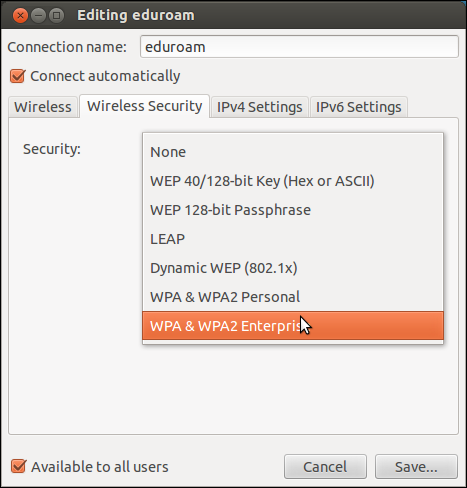 Choose the tab Wireless security and select WPA & WPA2 Enterprise from the Security dropdown menu. 5. 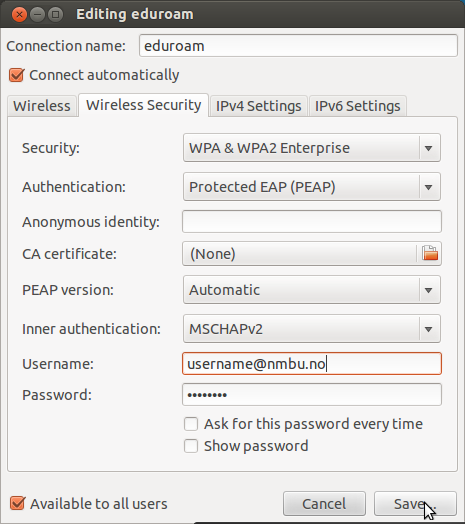 Choose Protected EAP (PEAP) from the Authentication options. 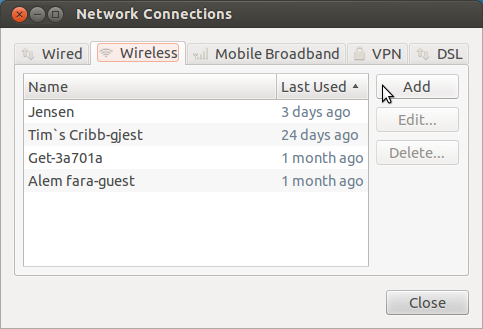 In the username-field, enter username@nmbu.no, and the in the password field your NMBU-password. Click Save. 6. 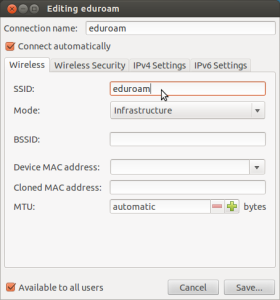 Connect to eduroam by finding it in the list with the wireless connections. You will get a message saying “No certificate Authority…” Click Ignore.